Interview with ‘Edmonton: Unbound’ Author Brad OH Inc.
Once again, the Edmonton Writers’ Group is proud to present an anthology of stories by it’s members. 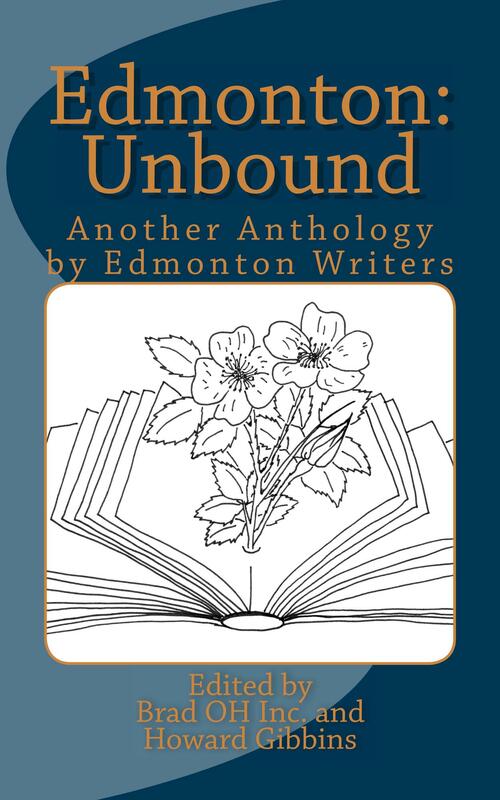 ‘Edmonton: Unbound’ contains fourteen stories by twelve local authors, unified only by the common theme of their current hometown, Edmonton, AB. To celebrate this release, we have an interview with one of the ‘Edmonton: Unbound’ authors, Brad OH Inc.
1. Freedom is important to Jeremy. What do you feel limits your freedom (as a writer or in life) and how do you resolve that? Brad OH Inc.: The first thing that comes to mind would simply be time. There never does seem to be enough of it, does there? I try to juggle a lot of different projects in my off-time, and it can be tricky to maintain the right balance, but I think I’ve managed alright. This publication was a lot of hard work, but I’m thrilled with how it turned out, and all of the authors should be proud of their contributions. 2. Was there a time when you were able to see through another person’s eyes like Jeremy wanted to do in your story? Brad OH Inc.: Through my background in Psychology, I’ve done a lot of work where empathy is certainly important. I hope that I manage to bring that into my daily life as well, I think it’s an important thing to be able to consider the perspectives of others. I imagine the world would be a more pleasant place if everyone made a conscious effort to do so. 3. Jeremy really didn’t like Lucky Lager. What beverage would you recommend to quench one’s thirst or to prepare a person for a writing session? Brad OH Inc.: That’s a fantastic question! It really depends on how deep into the writing you want to get, but my two recommendations would be Big Rock’s Traditional Ale, or Jameson Whiskey (neat). Happy writing! 4. Is there a time and place where you felt like you had entered a completely new world? Brad OH Inc.: In my story, “A Good Place for a Miller”, Jeremy is eager to go to “The Gathering of the Juggalos”. I was fortunate enough to attend that event when I was Jeremy’s age, and twice since. Those events definitely feel like another world, and I’ve had many fantastic memories made there. 5. Congratulations on the pending publication of your debut novel, “Edgar’s Worst Sunday”. Can you share a brief synopsis of the book? Brad OH Inc.: Thanks! I’d be happy to share a brief tease of “Edgar’s Worst Sunday”! Brad OH Inc.’s story, “A Good Place for a Miller”, is featured in ‘Edmonton: Unbound’, which you can purchase now on Amazon.ca. Stay tuned here for interviews with the rest of the authors in the anthology, and information on promotional events.